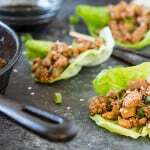 Sheet pan recipes are one my new favorite ways to cook… because they’re so darn easy and with minimal cleanup. 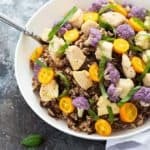 Today I’m sharing this easy (and healthy!) 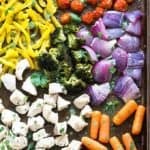 recipe for Sheet Pan Chicken and Vegetables. 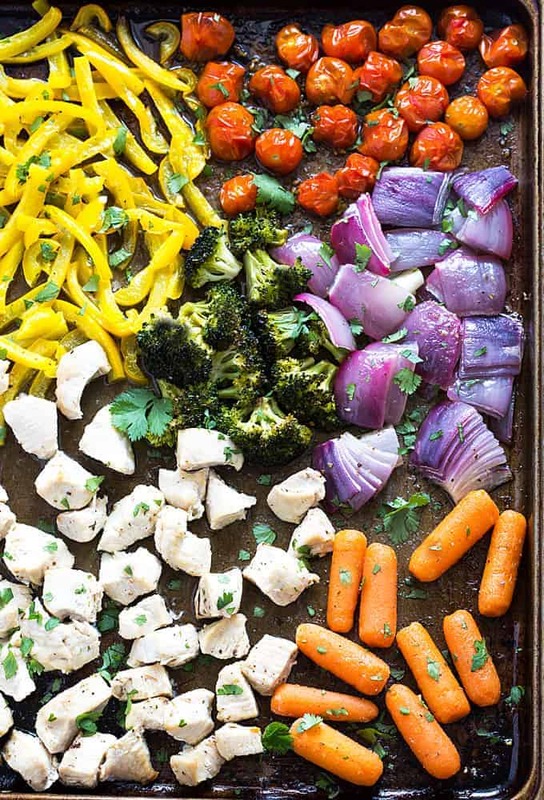 Oh hey there, you beautiful rainbow of healthy vegetables in that sheet pan! 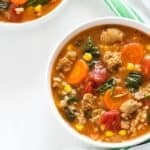 Eating healthier doesn’t have to be boring and this recipe is a cinch to make. The hardest part is slicing and dicing the veggies and the chicken breasts… nothing to it. I’m eating this over brown rice for dinner because I’ve just gotta have those carbs. 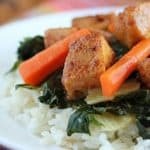 But the great thing about this recipe is that if you’re eating lower carb, skip the rice! The marinade is a simple mixture of olive oil, lime juice, salt, pepper, garlic powder and dried oregano. Garnish with fresh chopped cilantro for the ultimate flavor explosion! 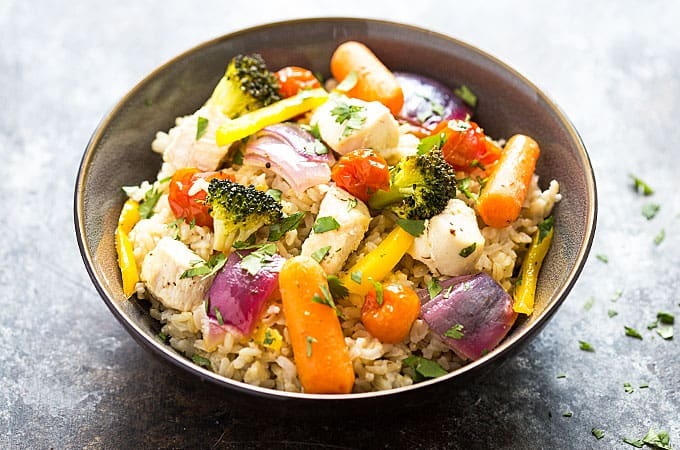 Sheet Pan Chicken and Vegetables – perfectly seasoned chicken and healthy veggies in one pan! Prepare the marinade by whisking marinade ingredients together in a small bowl to combine. Set aside. Lightly spray a large rimmed baking sheet with cooking spray. 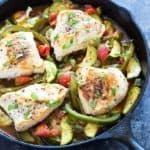 Place chicken and vegetables in a single layer onto baking sheet. Drizzle evenly with marinade. 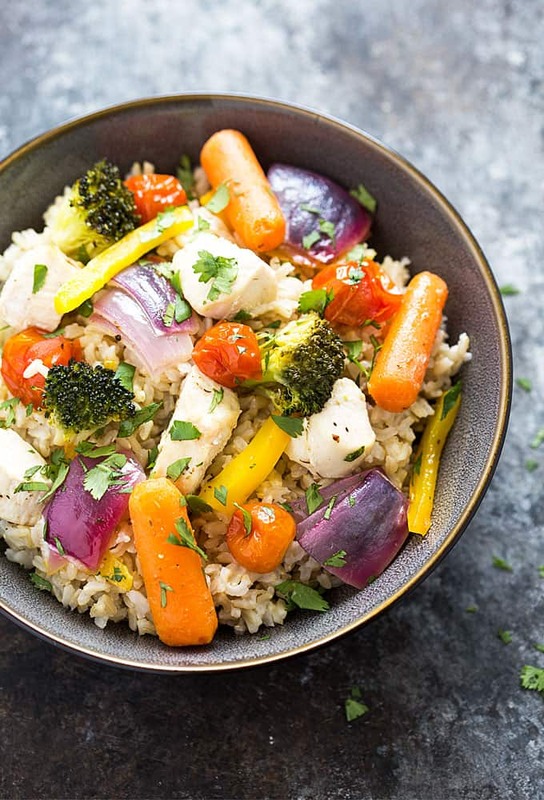 Bake for 20-25 minutes, or until chicken is cooked through and vegetables are tender. Top with fresh chopped cilantro and serve over brown rice, if desired.